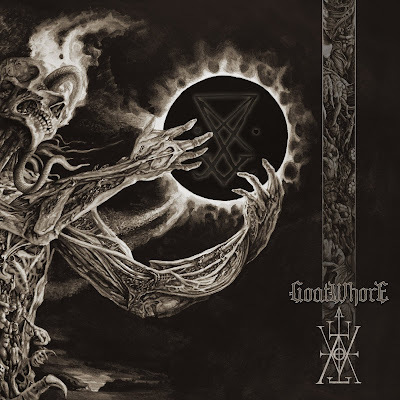 Ah, Goatwhore, the band whose claim to fame skyrocketed with the release of their 2009 LP, Carving Out the Eyes of God; although they had amassed a cult following before that point. The Louisiana based group have been proclaiming their love of Satan since 1997, and are one of the few bands of the newer era who rarely disappoint audiences with each release... at least, so far. It feels like an eternity has passed since they released their extremely successful 2012 effort, Blood for the Master. What does Constricting Rage of the Merciless have in store? 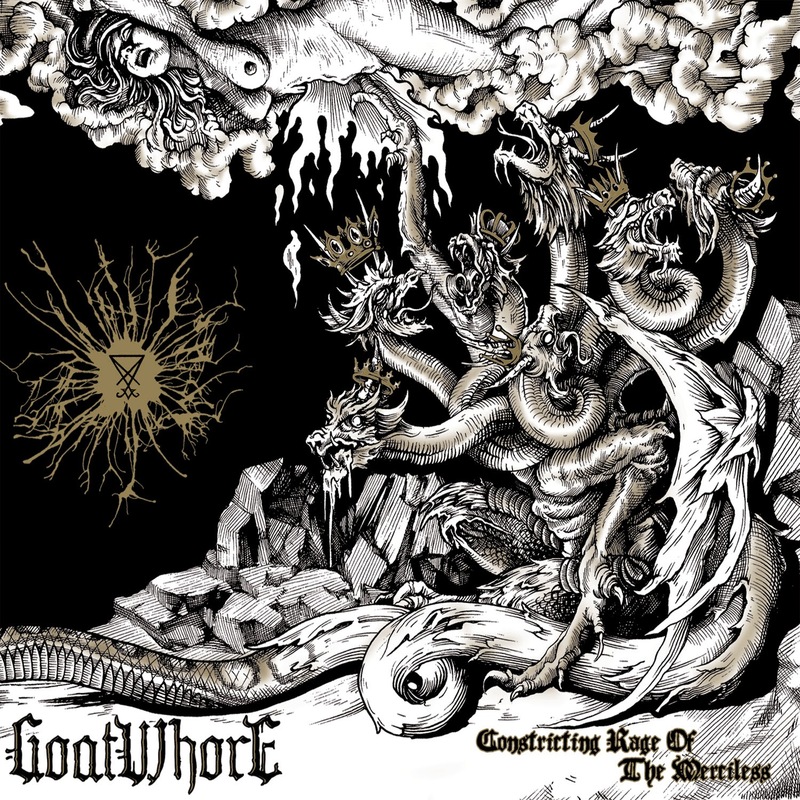 Goatwhore are a band that can best be compared to fine wine; the more that they are allowed to age and ferment, the more flavorful the output becomes. When following the timeline of their career, Goatwhore's first two albums were bleak, crusty black metal excursions. Each album thereafter became progressively harder and faster, while A Haunting Curse not only marked their first Metal Blade Records release but also where the band gradually began implementing more skillful efforts into their drum and guitar work; although Carving out the Eyes of God still seems to be a fan favorite. 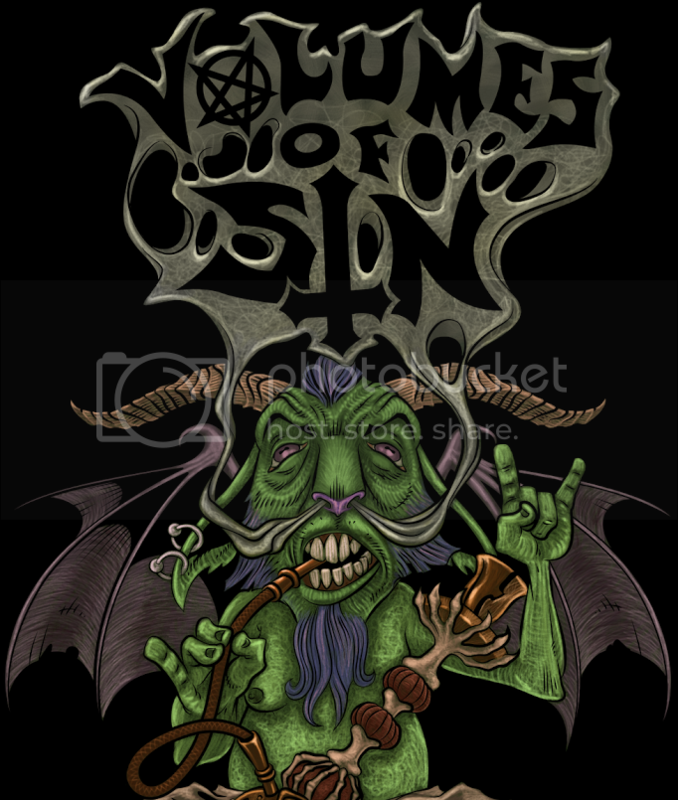 Constricting Rage of the Merciless is a conglomeration of bountiful sapidity that has carefully been selected by the group and, when mixed together, create a powerfully diverse experience that even the most unholy of listeners can appreciate. The heaviest portion of the album is made up of multivarious black metal; ranging from blackened death in "Poisonous Existence in Reawakening" to groovy black n' roll in "Schadenfreude" and even melodic black metal within "Heaven's Crumbling Walls of Pity". Lurking between the shadows of these songs are thrash laden adventures that are reminiscent of early Venom and mid-era Sodom work, such as "FBS" and "Baring Teeth for Revolt". Both thrashing anthems are embellished with outstanding galloping guitar/drum duo segments, while "FBS" incorporates string bends that accentuate the track with a twangy quality. To further cement the divergence that the material offers is "Cold Earth Consumed in Dying Flesh"; a bleak, doom ridden hellscape of a track that sends chills down the spine. This is also where the triumphant progress that vocalist Ben Falgoust II has made stands out astronomically. Where his vocals were gritty and overly harsh in the past, it is evident that his growls have both deepened and smoothed out in this latest release. The aforementioned track in particular highlights the earth-quaking gutturals and soul shredding growls that he emits. In the same regard, Goatwhore have stuck with their niche of lyrical mayhem that includes satanic worship, war and dark rituals; in fact, these profoundly malevolent themes may be more horrifying than before. With that being said, their musicianship has taken a more simplified turn; in the case of Constricting Rage of the Merciless, this works in the favor of the band and is not received as a regression of skill. Many tracks feature the guitar sharpening an array of power chords, occasionally with solos littering the back or foreground, while the drums display gallops, blast beats and double bass patterns. "Schadenfreude" is an example of this simplification, but also the positive effects this attribute has given the material; although the track sounds a lot like a creation from Skeletonwitch. This is the only track that is exceedingly 'witchy', and the others carry unique creativity that is distinctly Goatwhore. The catchy guitar riffs, grooving bass lines, memorable choruses and palpitating drum beats fuse together to create one great track after another. While the older and more elitist fans are going to argue that The Eclipse of Ages into Black is the best, newer fans will be arguing that either A Haunting Curse or Carving Out the Eyes of God reign supreme. One thing is certain though, that both old and new fans alike will simply dig Constricting Rage of the Merciless. Some may even argue that this release is at the top of the Goatwhore discography, even though the display of instrumental skill has taken a backseat to the prowess of their songwriting; which definitely isn't a bad thing.